Demand for Colonial Bolivian Silver Objects: Melt it down? Sell it on? Compiling information on South American church theft is really quite interesting. The legal side was/is quite easy. The objects fall squarely into the cultural patrimony legal framework and the only new1 bits are working out the idea of private ownership (archaeological objects cannot be ‘owned’ by individuals, although individuals can possess them with the permission of the state) and sorting out the legal and penal code aspects of clearly defined, textbook theft 2. What is new to me is engaging with these types of objects. It has been a long time since I ‘learned’ a new pantheon of material culture and Colonial church items are certainly new to me. One issue I have been mulling over is the possibility/probability that any stolen silver object is going to be melted down and sold as, well, silver. There are historic accounts of 19th century looting in Colombia specifically for gold objects to melt down (there wasn’t a market for the objects themselves at the time of course) and to this day such things are presented as a possibility. Earlier this week the theft of a modern sculpture, a gold hand stolen from Christies, had everyone chatting about the “they are going to melt it down” fear. It just makes sense, right? In the event that a stolen/looted object is impossible to fence, melt it down and sell the component parts. 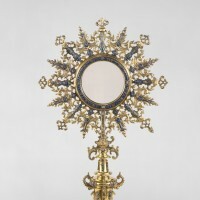 Coming back to Bolivian ecclesiastical silver, surely it is easier and less risky to unload a lump of melted silver to a silver buyer (of which there are plenty in that part of the Andes for obvious reasons), than it is traffic and/or market a big silver monstrance. It just seems right, yeah? Looking at preliminary numbers, there do seem to be some patterns within Bolivian church theft. Sometimes people just steal paintings. Sometimes people just steal silver. Sometimes they steal a combo. The times that people just steal silver, they usually pass up other theoretically marketable objects (sculptures, paintings, frames), for the silver objects. It would be quite easy to jump to the conclusion that this is a ‘theft for scrap’ so to speak: a metal theft rather than a theft to feed the art market. I think that is a bit to simplistic. At this point I am trying to build up an understanding of both supply and demand. Perhaps there is just a strong demand for silver cultural pieces hence the silver-only thefts? Could be. I mean they sure are pretty. In looking at the demand side online (methodology! methodology!) 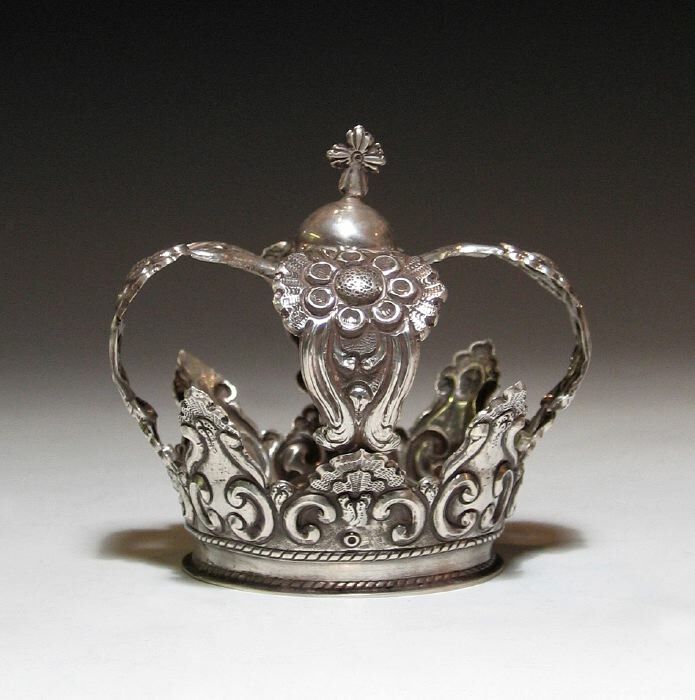 I came across something quite interesting that I wasn’t expecting: the online sale of silver replica crowns, resplendors, etc along-side historic silver pieces. 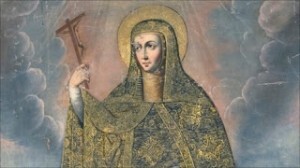 Say you have purchased a 19th century santo and s/he is lacking the required brilliance, you can order authentic-looking but modern saint accessories (I typed ‘holy bling’ but deleted it. Oh self-respect!). Even more interesting, these are being presented as “hand-made in Bolivia by Aymara-speaking master craftsmen”. So in some insane full-circle, the demand for real-looking Saintly gear for, presumably, old saint statues is giving work to the local craftsperson in the Andes, the descendants of the folks who made the Colonial originals. huh! There is also clearly a push for people to buy actual old crowns etc. for their saints. 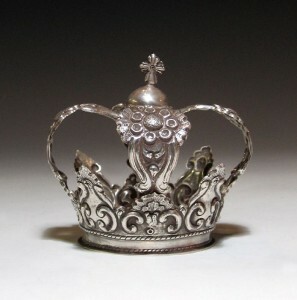 Some of the dealers plop an old crown on top of their for-sale sculptures, mention that it isn’t the crown that came with the saint, but say it is for sale too. I’m not sure if the new ones are just cheaper, more available, or if they are for those who want to take a moral high ground: working on it. Next, the whole “Aymara-speaking” craftsmen deal might be a lode of silver, so to speak, a marketing ploy that plays into what buyers want to imagine. But it makes me wonder a few things. Does the market in modern-made Bolivian Saint sparkle mean that the demand for ‘real’ ones is beyond the supply? There sure seems to be a lot of theft, and some of the pieces clearly do make it to the international market, but is a certain amount of it being caught up in the melting pot, not because of a lack of demand but because of trafficking difficulties? I will say that it seems like the threat of ‘melting down’ is the unsubstantiated narrative that seems to accompany all of these pieces…the justification, the story people tell themselves to wiggle out of their own participation in potential criminality. I’ll be looking into the reality of ‘melting down’ as much as possible, simply because it is the basic myth (or ‘myth’) that underpins this type of object. As usual, we shall see. 1. New as in new to me which basically means patrimony law as applied to non pre-Conquest material. Plug plug IJCP paper. 2. Turns out church robbery is automatically aggravated theft, even if there is no weapon or threats to person. That it is the theft of religious objects makes it aggravated in Bolivia and thus puts it into a more penalty-rific sentencing category. 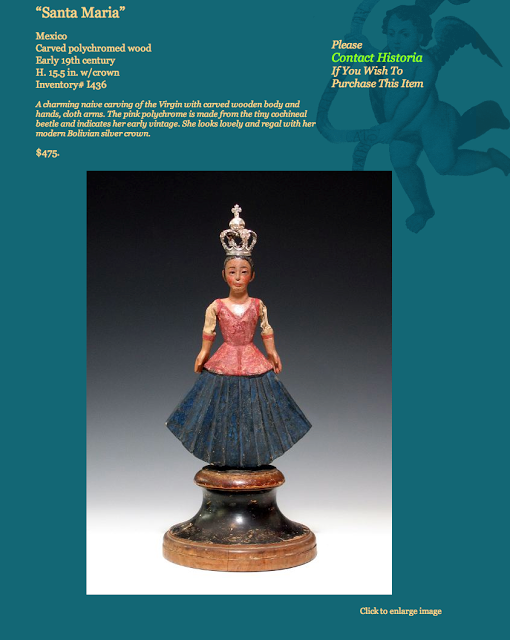 Update: here is an example of what I mean…a historic Mexican piece being offered with a modern Bolivian crown.